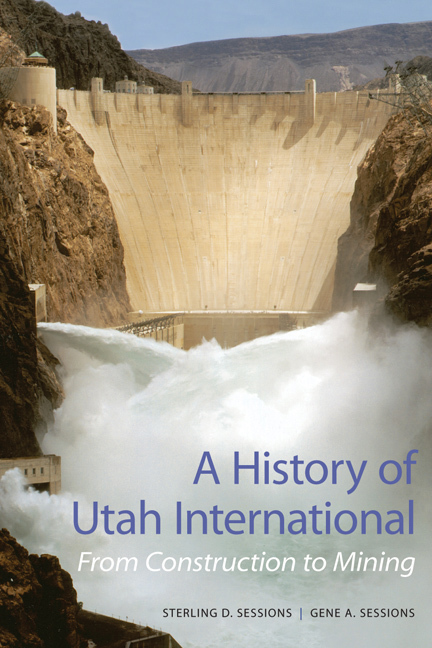 The story of how the Utah Construction Company, founded in Ogden, Utah in 1900, became Utah International, a multinational corporation, is known to historians of the American West but perhaps not by the general public. The publication of this book remedies that omission. During its first decades, the company built railroads and dams and was one of the Six Companies Consortium that built Hoover Dam. Utah Construction was also engaged in numerous war-contract activities during World War II. In the postwar period, the company expanded its activities into mining and land development and moved its headquarters to San Francisco. Changing its name to Utah Construction and Mining, and eventually to Utah International, the corporation became one of the most successful multinational mining companies in the world. In 1976, Utah International and General Electric negotiated the largest yet corporate merger in the United States. Based on the Utah International archives housed in the Stewart Library at Weber State University, the story of Utah International describes more than projects: it is also the story of how two remarkable entrepreneurs, Marriner Stoddard Eccles and Edmund Wattis Littlefield, transformed the company incorporated in 1900 by the Wattis brothers into the largest and most profitable mining company in the United States. Sterling D. Sessions is professor emeritus and former business school dean at Weber State University. He was also a faculty member at the Stanford Business School and the Naval Postgraduate School in Monterey, California. Gene A. Sessions is professor of history and department chair at Weber State University. He is the author of numerous books, including Prophesying Upon the Bones: J. Reuben Clark and the Foreign Debt Crisis, 1933–39.